Hassan is the founder and principal of the HMA Law Firm. He built the firm on one simple idea: People need protection and perseverance to prosper. The firm lives out this mantra every day: under Hassan's leadership, legal knowledge and skill is leveraged to fight for clients' rights, sticking with the process no matter how long it takes, so that clients can live their lives not just peacefully, but with prosperity. Hassan is fluent or proficient in eight languages besides English. He is known and respected among his peers for his reliable knowledge of the law, research and writing ability, and trial skills. He has earned a reputation among his peers as a go-to attorney in matters of immigration law. Hassan's language ability allows his clients to feel comfortable when telling their story. His perspective on immigration as a means to prosperity is borne from his belief in unity in diversity, advising nationals of 115 countries around the world for 15 years, and counting. As a lawyer, Hassan also has a strong background in criminal defense. He maintains a niche practice in "crimmigration" - the immigration consequences of criminal activity. Hassan also focuses much of his practice on defending against deportation, and devotes over a third of his practice to matters of asylum law. He litigates immigration cases in federal court, and does not shy away from the tough cases, whether in matters of family immigration, business, or citizenship. He is a regular invited speaker and writer on immigration, with a unique ability to explain legal concepts through client stories. He is frequently quoted in local and national media. 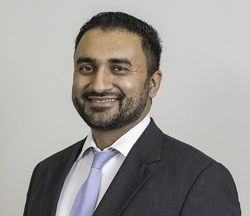 Hassan is also an immigrant rights advocate who firmly believes that serving clients means not only direct representation, but also advocating for their interests before lawmakers, and informing them of what his clients are actually going through. His clients' stories have been told to legislators, governors, and policy makers. His ability to advocate in this way is why he was appointed by Gov. Terry McAuliffe to serve on the Virginia Asian Advisory Board, helping advise the Governor on issues facing the AAPI community. and beyond, as well as the Commonwealth Commission on Diversity, Equity, and Inclusion. It is why he also serves on the board of the Dulles Justice Coalition, the group of airport lawyers who represented clients in the wake of President Trump's travel ban. It is why he takes on anti-immigrant groups who see immigrants as a threat, and is not afraid to expose their hateful rhetoric for what it is. Hassan holds a law degree from Tulane Law School in New Orleans, Louisiana. While in law school, he clerked for a high-profile New Orleans firm where he learned and was trained in a considerable variety of legal fields, ranging from personal injury to commercial litigation to medical malpractice. Prior to his career as a lawyer, Hassan was a successful and motivational teacher. He taught Urdu and Hindi at North Carolina State University in Raleigh, NC and also taught high school classes in religion and law. He maintained a career as a real estate sales agent in North Carolina. Hassan was born and raised in North Carolina and now resides in Virginia with his family. See Attorney Hassan's answers to real-live questions.